When it comes to printing parts which are purely aesthetic, for testing things like fit and form, or if the print won't be exposed to any heat or stress, PLA is the industry standard. 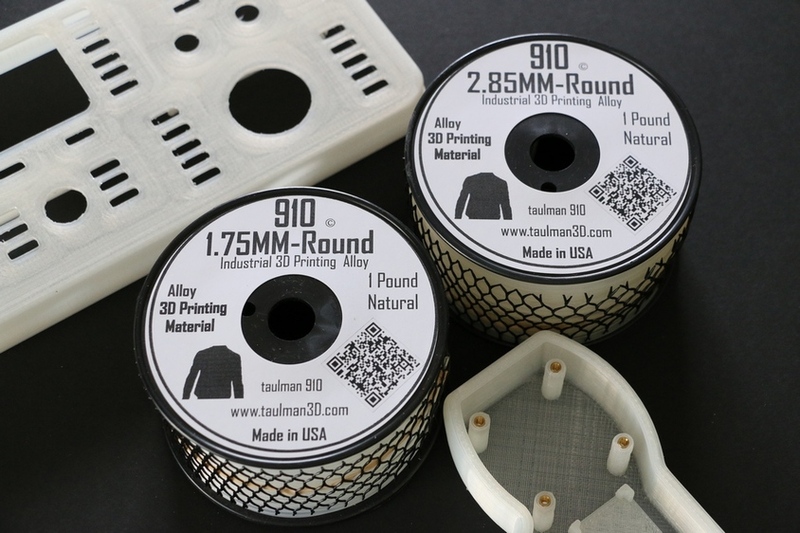 PLA is one of the easiest materials to print with and also the most economical. PLA is not a great material choice if you need temperature or chemical resistance, or if the part with be exposed to tensile forces. Mechanical applications require a heavier duty material choice. ABS used to be the standard choice but requires a dedicated printing environment. 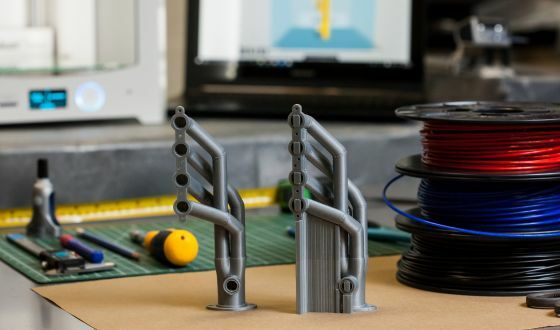 A great alternative to ABS is PETG because it offers higher strength and temperature resistance, without the downfalls of ABS such as its strong smell and tendancy to warp. Nylon is another great material option for mechanical parts with the added benefit of being slightly more flexible and also chemical resistant. 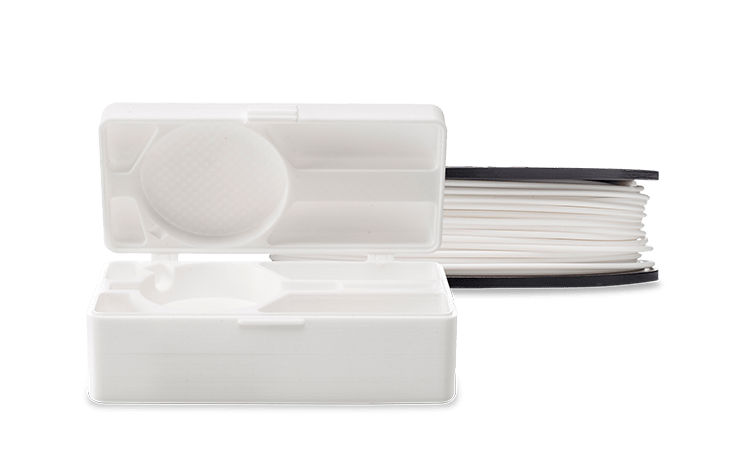 For higher temperature applications, where the prints will be exposed to ~60-100C, you will want to look to materials such as Polycarbonate, CPE+, or Taulman BluPrint. Our standard choice for flexible material Ninjaflex which prints very well with the additional Flexystruder on Lulzbot printers. 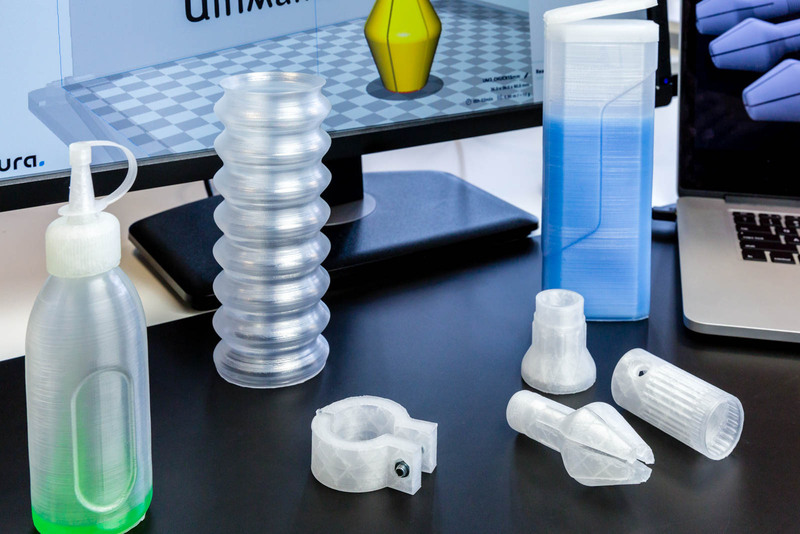 Ultimaker printers can use TPU95A which offers a semi-flexible printing option. For a premium alternative, PCTPE has superior strength and a satin appearance making it exceptionally suited for wearable applications. Flexural Strength 62 MPa Max. Ultimaker PLA is dedicated for optimal performance on Ultimaker machines such as Ultimaker 3, Ultimaker 3 Extended, Ultimaker 2+, Ultimaker Extended 2+ and Ultimaker 2Go. It will also print well on other 2.85/3.00 mm compatible printers including Lulzbot. 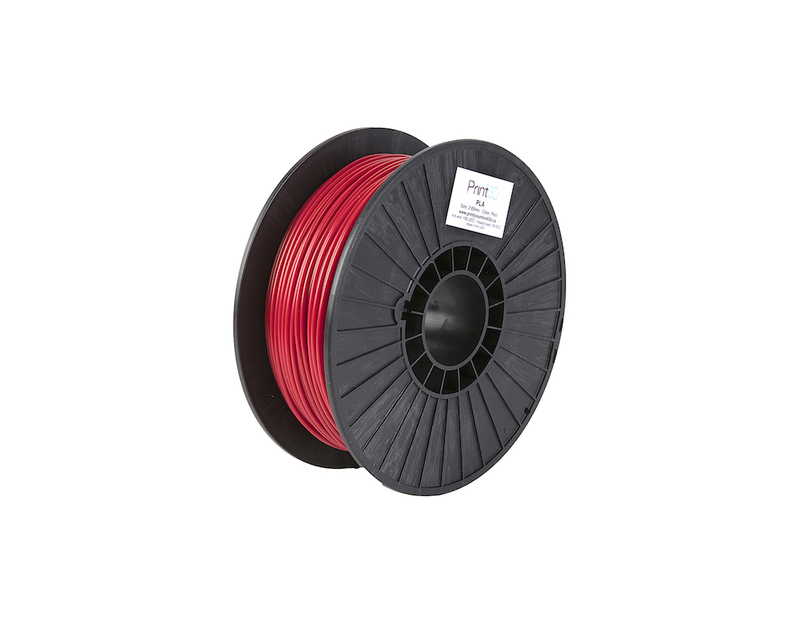 Choose this filament if you need just that superior visual quality. This material adheres well to cleaned glass and PEI build surfaces. Flexural Strength 37 MPa Max. Professionals often choose ABS for its strength, temperature resistance and machinability. It is moderately superior to PLA and more suited for load-bearing applications. However it is not foodsafe and a bit more difficult to print with. You will need a well-ventilated area to carry away the fumes and a combination of kapton tape and hair or glue spray for your heated bed in order to prevent warping of the print. With acetone vapor post-processing you can give your prints a smooth finish. Ultimaker ABS is dedicated for optimal performance on Ultimaker machines such as Ultimaker 3, Ultimaker 3 Extended, Ultimaker 2+ and Ultimaker Extended 2+. It will also print well on other 2.85/3.00 mm compatible printers including Lulzbot. This strong and temperature-resistant material is ready to print on your Ultimaker with the default Cura print settings profile. You will need a well-ventilated area to carry away the fumes so it is not recommended for use at home or in an educational setting. Use a combination of kapton tape and hair or glue spray, or ABS slurry for your heated bed in order to prevent warping of the print. With acetone vapor post-processing you can give your prints a smooth finish! Flexural Strength 77 MPa Max. PETG is a clear, glycol-modified PET plastic but counter intuitively becomes an entirely new and more ductile material with different properties compared to PET. Despite being less UV-resistant, it provides better grip, clarity, flexibility as well as moisture, chemical and heat handling. We recommend applying PVA glue onto the print surface using a washable glue stick for easy part removal. Flexural Strength 90 MPa Max. 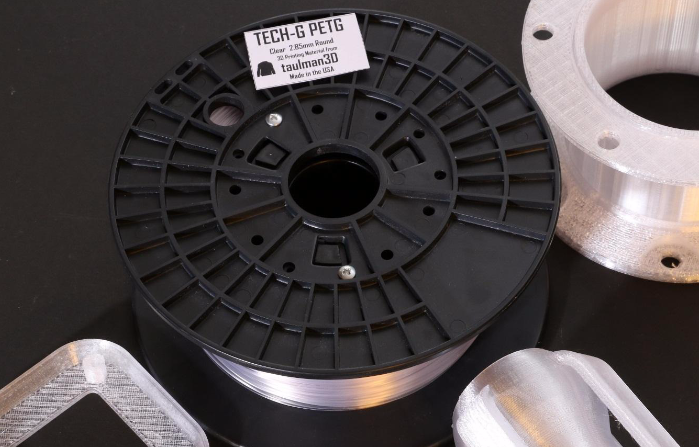 Tech-G is a higher strength PETG for engineering and architectural use. 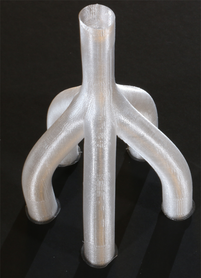 It is less brittle than PLA with better tensile strength compared to ABS enabling its use for functional test models. We recommend applying PVA glue onto the print surface using a washable glue stick to ensure easy part removal. 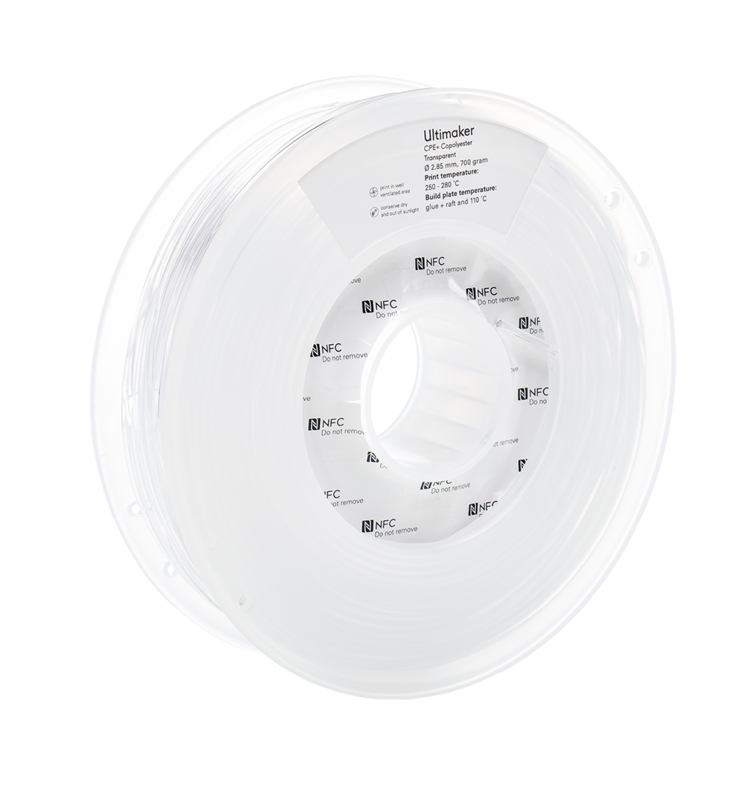 Taulman guidel!ne is a high strength PETG especially suited for parts with fine detail. It is made of a raw material that is approved by the FDA making it suitable for food or medical grade applications. It also prints at the same temperature as nylon and snaps away cleanly from it when printed as a support material. PETT is a 100% recyclable high strength filament that prints at lower temperatures without odors. It is more rigid than PETG and the most transparent of all materials we carry. Because of great interlayer bonding, with a layer thickness of 0.50-0.80 of the nozzle thickness you already get excellent results. We recommend applying PVA glue onto the print surface using a washable glue stick to ensure easy part removal. For truly clear models, use an epoxy such as XTC-3D to smoothen out the parts. BluPrint has specifically been developed to withstand high temperatures and is suited for immersion in boiling water for up to five hours. It is a clear material with a very subtle blue hue making it suitable for aesthetic applications. Flexural Strength 50 MPa Max. Ultimaker nylon is a very strong, machinable and durable low-cost material optimized for printing with Ultimaker machines. It does not release any fumes when printed. Using a PVA glue stick makes for great bed adhesion, and you can color the material with acid-based dyes! 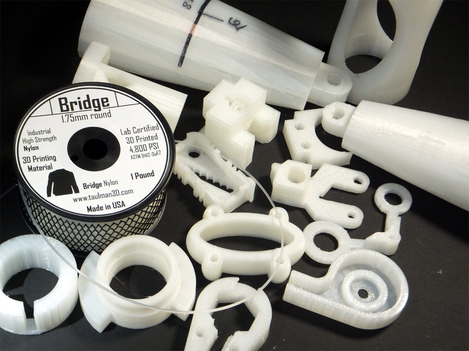 Taulman’s Bridge nylon is an engineering plastic with superior strength and low cost. 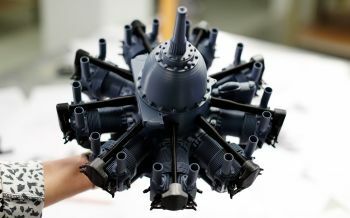 It was developed as a variant of 645 nylon in order to better suit 3D printing processes. Using a PVA glue stick makes for great bed adhesion, nylon releases no fumes, and you can color the material with acid-based dyes. It now also comes in black! T-Lyne is a polyethylene(PE)-based thermoplastic developed to incorporate a unique mix of properties to enable its use as a remoldable material after immersion into hot water. It contains the Surlyn ionomer which is used for golf ball and bowling pin coatings. Together with a non-slippery surface and great clarity, this makes it very useful for creating prosthetics, tools and ergonomic evaluation models. CPE (copolyester) materials are tough, accurate, and very well suited for mechanical parts. In gray scale it results in professional looking models. Compared to ABS it is a bit more flexible, less prone to warping and does not emit harmful vapors. This filament has been developed for Ultimaker printers such as Ultimaker 3, Ultimaker 3 Extended, Ultimaker 2+ and Ultimaker Extended 2+ and is compatible with Cura’s standard print setting profiles. We recommend using a PVA glue stick for great first layer adhesion. 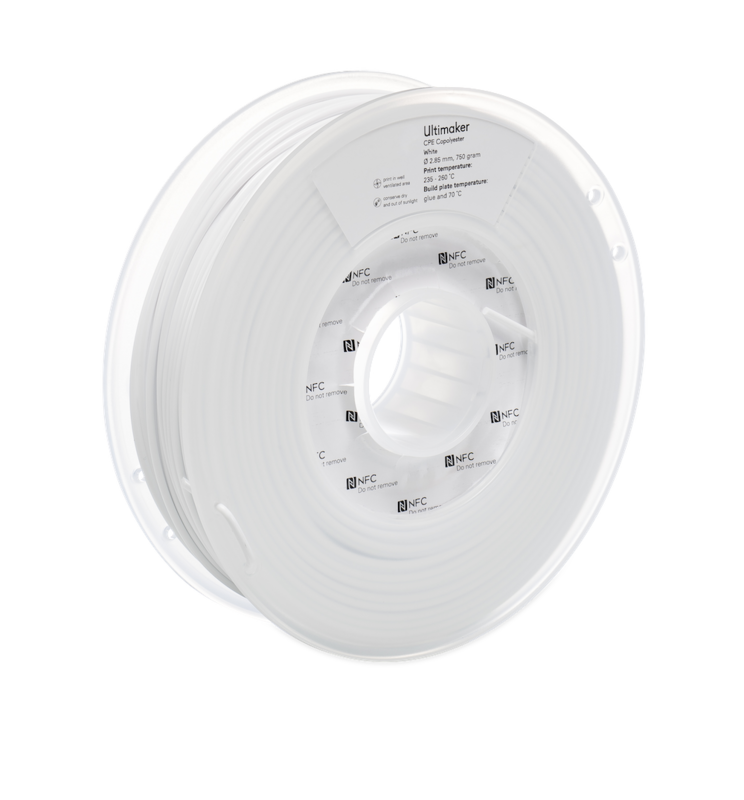 If you choose for the premium CPE+ filament, you gain 10x more toughness, better impact strength and temperature resistance up to 100°C instead of 70°C for the regular CPE filament. 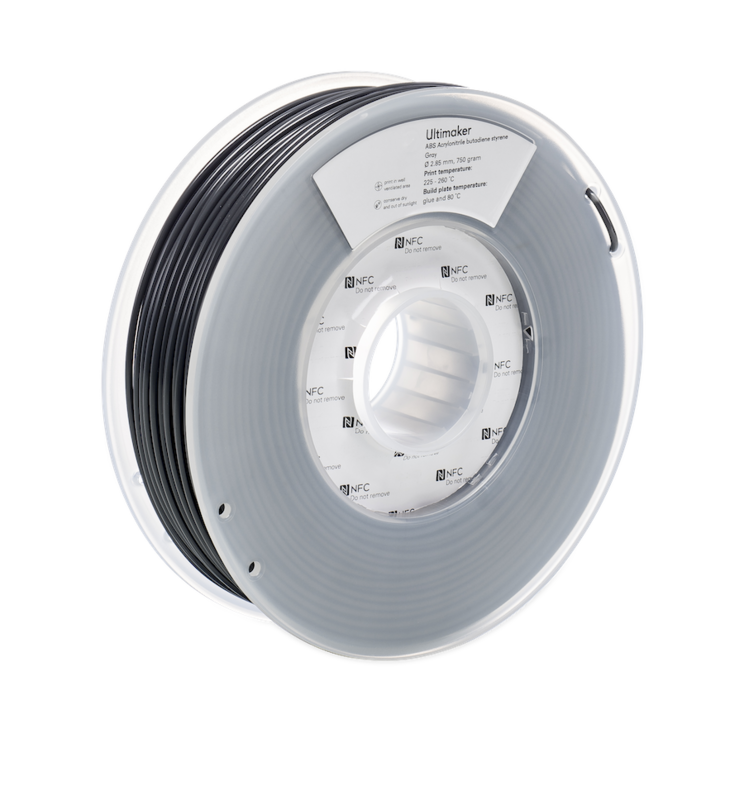 This filament has been developed for Ultimaker printers such as Ultimaker 3, Ultimaker 3 Extended, Ultimaker 2+ and Ultimaker Extended 2+ and is compatible with Cura’s standard print setting profiles. Use a PVA glue stick for great first layer adhesion. For optimal print performance with Ultimaker engineering materials, we recommend the Advanced 3D Printing Kit available here. 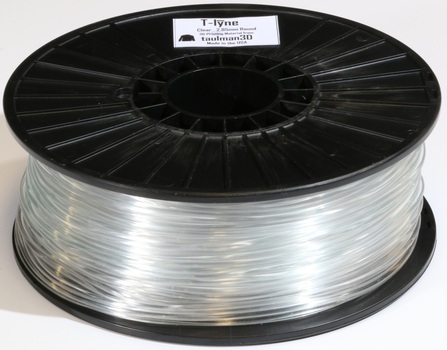 Polycarbonate (PC) is a top choice filament for engineering applications where high strength and impact resistance is needed in high temperature environments up to 110°C. 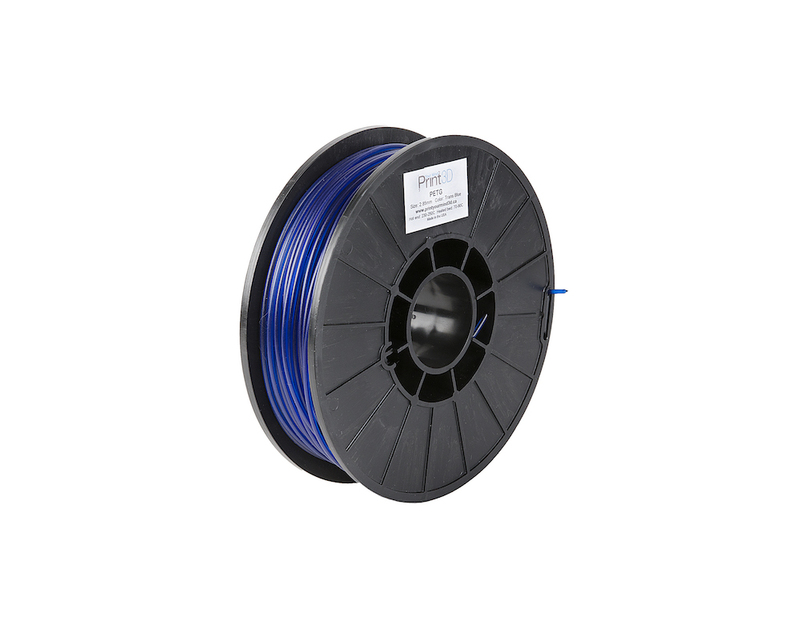 This filament has been developed for Ultimaker printers such as Ultimaker 3, Ultimaker 3 Extended, Ultimaker 2+ and Ultimaker Extended 2+ and is compatible with native Cura printing profiles. Read this page for extended print settings. 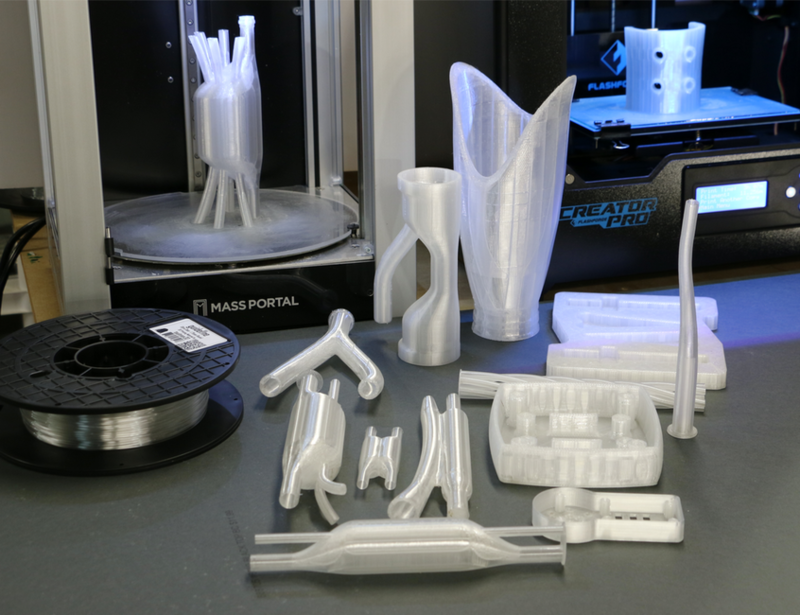 For optimal print performance with Ultimaker engineering materials, we recommend the Advanced 3D Printing Kit available here. This translucent polypropylene (PP) is a tough and ductile material, most used for applications that require repeated bend and stress. 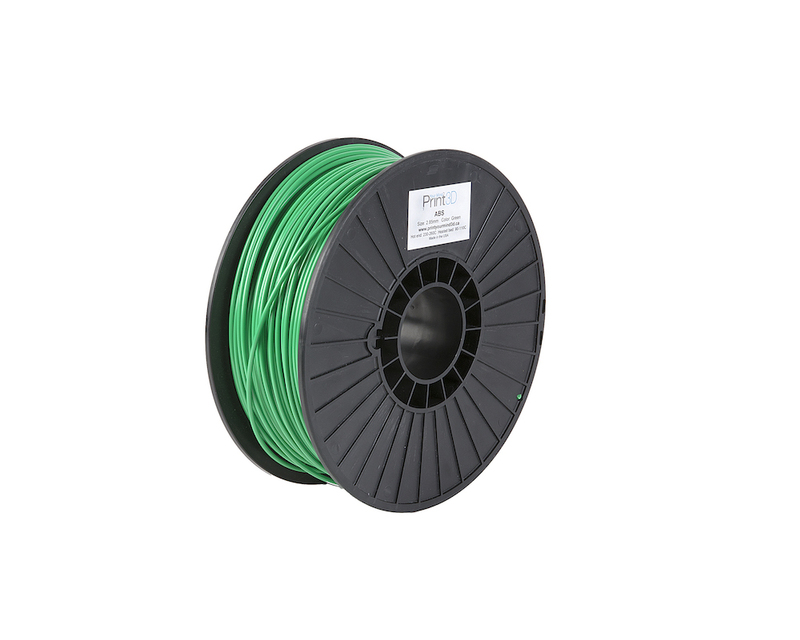 This filament has been developed for Ultimaker printers such as Ultimaker 3, Ultimaker 3 Extended, Ultimaker 2+ and Ultimaker Extended 2+ and is compatible with native Cura printing profiles. Read this page for extended print settings. For optimal print performance with Ultimaker engineering materials, we recommend using adhesion sheets available here. 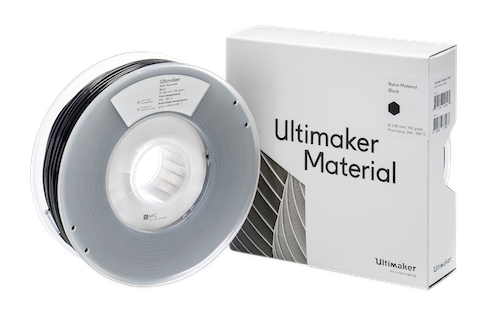 If you are looking to optimize your flexible parts and are an Ultimaker owner, this is the right material for you. 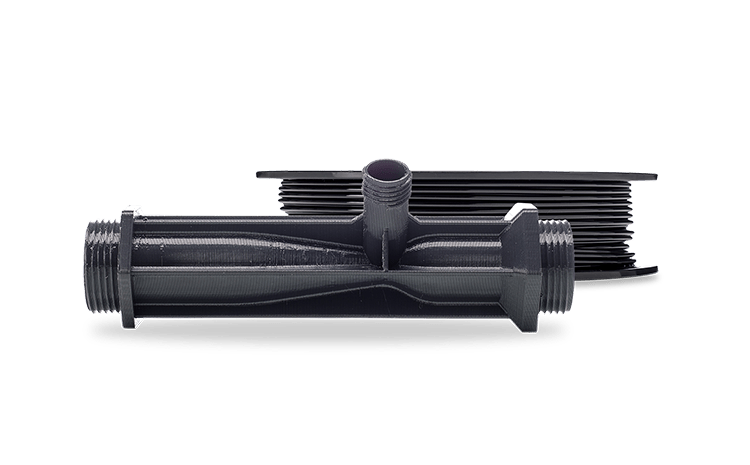 Their semi-flexible TPU integrates both the qualities of a rubber and a plastic for a wide array of applications and is easier to print vs. other flexible filaments. It is the most abrasion resistant of all flexible filaments. Not recommended for outdoor use and water immersion. Use a PVA glue stick to improve bed adhesion. 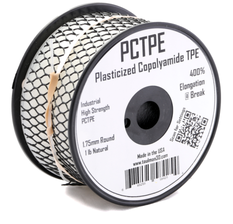 PCTPE is a flexible material with added nylon for strength, durability as well as colorability with acid-based dyes. Because of its smooth and lustrous surface, it is especially suited for wearable designs. Use a PVA glue stick for great bed adhesion. 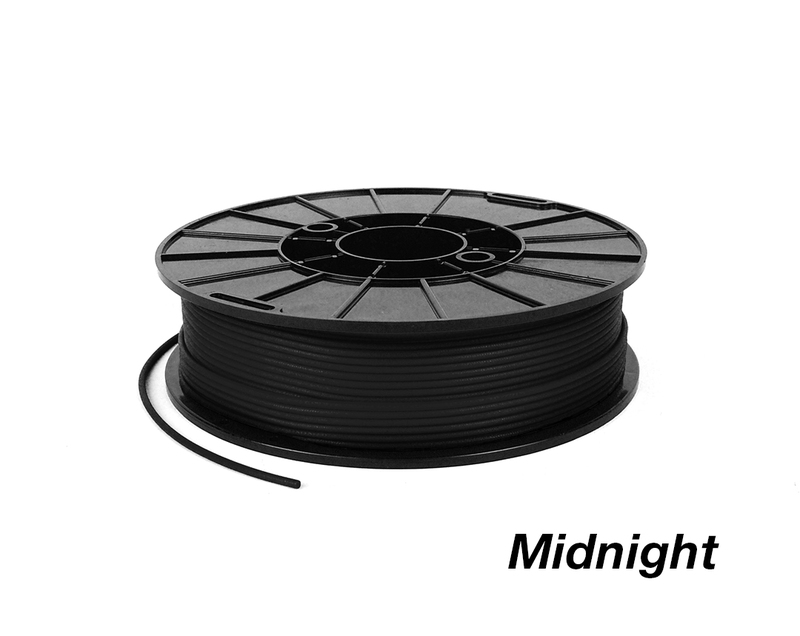 Ninjaflex is a prime flexible TPU filament with good toughness, and abrasion resistance. Since it has no UV stabilizer we recommend this material for indoor use only. If you are a Lulzbot owner, we recommend the Flexystruder or FlexyDually tool head for best performance because at 85A Shore hardness this is a very flexible material. Use a PVA glue stick to improve bed adhesion. Flexural Strength 92 MPa Max. 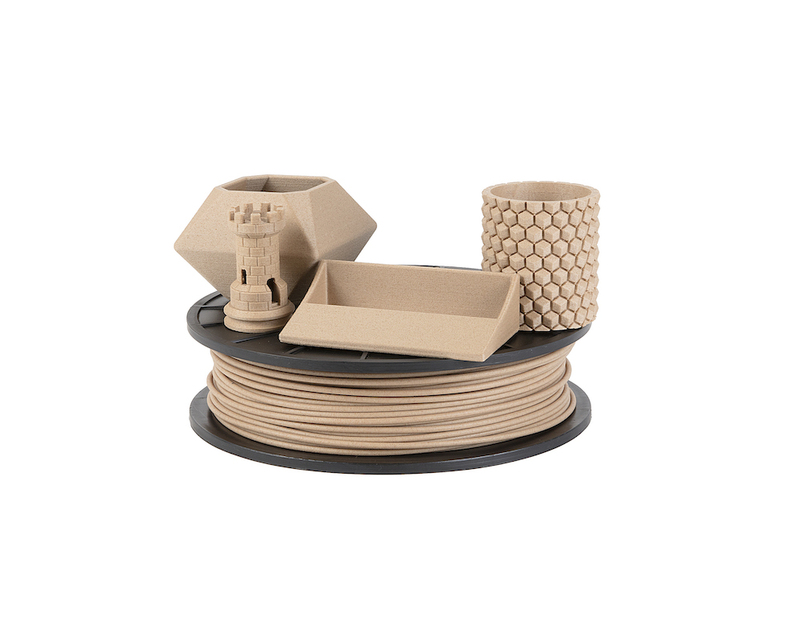 Our specialty Woodfill material is a blend of PLA and fine wood particles that results in prints that look, feel, smell and are machinable like actual wood! What’s more, the Mooncactus plug-in for Cura will provide your print with layers that vary in temperature which results in a wood-like banded surface coloration. To prevent clogging we recommend using a 0.5mm or larger nozzle. This is a great material to experiment with as different settings create different results. PVA is a biodegradable filament that dissolves in water without any hazardous byproducts. 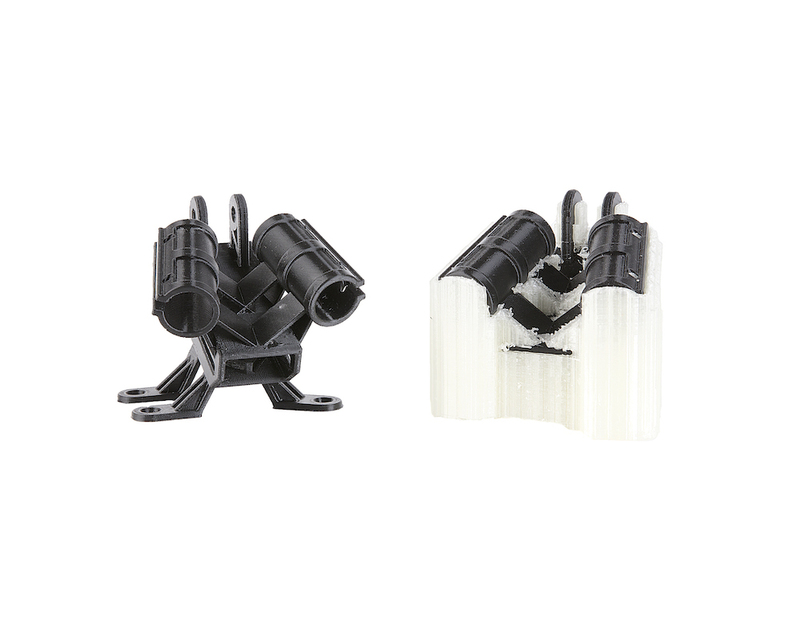 This makes it ideal for use as a support structure on dual-head 3D printers, especially for PLA, nylon and CPE. 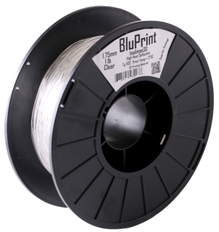 This filament has been developed for Ultimaker printers such as Ultimaker 3 and Ultimaker 3 Extended and is compatible with native Cura printing profiles. Read this page for extended print settings. Want to try the materials listed above for yourself?